Pot grow is done using organic soil and is one of the best ways to start Marijuana Industry. It is the best way to plant marijuana which occupies lesser space both indoors and outdoors. 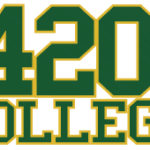 420 College helps people venturing for new lines of business and provides helpful seminars, trainings and consultations on how to start a medical marijuana business. Marijuana pot grow is the most basic learning the college provides to business ventures. Provided are step by step basic ways on how to plant marijuana seeds on a pot, correct cultivation, proper germination and best care tips for planting marijuana on pots. Turn your trash pots into useful and profitable ones, learn how to plant marijuana pot grow and you can start a medical marijuana business now today. So go to 420 College seminars, we stand by what we do. Learn what are the requirements to start a pot grow. 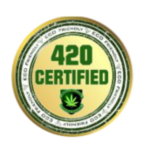 You always have access to the online forum and the Alumni Online Campus where you can network with other 420 College grads. We’ll give you all the paper work needed to start RIGHT AWAY – as soon as you are ready* – in the 1-On-1 counseling session. You will have direct contact with 420 staff that will guide you through document completion and filing – so you get it right – the first time! Outside of Central California (Fresno, CA) please add a flat rate of $100, per day, to cover staff travel expenses.